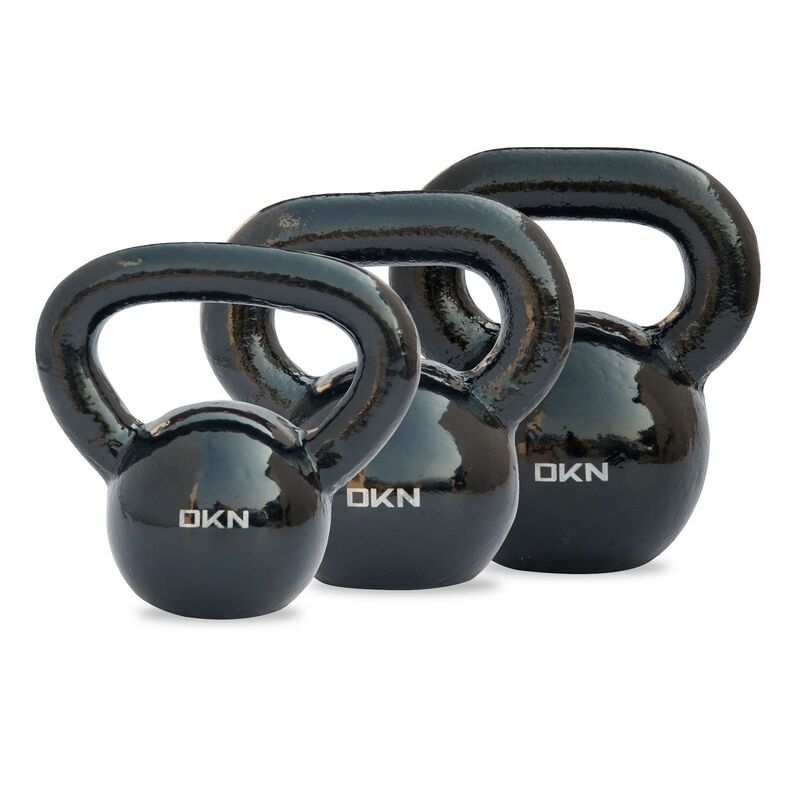 This set of high-quality cast iron kettlebells from DKN is perfect for your home workouts as well as commercial use. Each kettlebell has an ergonomic handle offering an easy and secure grip to let you build up your upper body strength in more comfort. They have been crafted from solid cast iron and their superior design ensures ideal balance. The collection contains kettlebells of 8kg (17.6lbs), 12kg (26.5lbs) and 16kg (35.3lbs). for submitting product information about DKN 8, 12 and 16kg Cast Iron Kettlebell Set We aim to answer all questions within 2-3 days. for submitting product information about DKN 8, 12 and 16kg Cast Iron Kettlebell Set. We aim to answer all questions within 2-3 days. If you provided your name and email address, we will email you as soon as the answer is published. for submitting product review about DKN 8, 12 and 16kg Cast Iron Kettlebell Set.